August 30, 2015–CAP: Missy Sampson and Nikki Addams defeated Debbie Kane and MJ Jenkins. November 21, 2015–Legendary Action Wrestling: Willow Nightingale defeated MJ Jenkins. February 2, 2016–Girl Fight VIII: Amazing Maria, Hayley Shadows, MJ Jenkins and Ray Lyn defeated Savannah Evans, Scarlett Bordeaux and Solo Darling in a handicap match. February 12, 2016–Superkick’D: MJ Jenkins defeated Ray Lyn. March 11, 2016–Superkick’D: MJ Jenkins and RJ City defeated Dylan Bostic and Michael Sissay. April 10, 2016–WWR: Dominique Fabiano defeated MJ Jenkins in a dark match. April 16, 2016–RWA: Jessie Belle defeated MJ Jenkins to become #1 contender for the women’s title. April 30, 2016–AIW Girls Night Out 17: Solo Darling defeated MJ Jenkins. May 21, 2016–UCW: Ingrid Isley defeated MJ Jenkins. July 13, 2016–CZW Dojo Wars: The Fella Twins (Eddy McQueen and Rick Cataldo) defeated Allie Recks and MJ Jenkins to retain the WSU tag team titles. August 6, 2016–AIW Girls Night Out 18: Vanity defeated MJ Jenkins. August 13, 2016–NECW: Sonya Strong defeated MJ Jenkins in the 1st round. August 17, 2016–CZW Dojo Wars: The Dixon Line (Joe Keys and Rob Locke) defeated MJ Jenkins and Rick Cataldo. October 1, 2016–BCP: Katred defeated MJ Jenkins and Vanity in a 3-way match. November 10, 2016–RISE 1: Britt Baker and The Skilled Death Artist #1 (Nicole Matthews) defeated Faye Jackson and Gemma Cross and Jawsolyn and Kiera Hogan and Layne Rosario and MJ Jenkins and Paige Turner and Paloma Starr and Phoebe and Skylar Slice in a battle royal to qualify for the Phoenix Of the RISE title tournament. December 16, 2016–BCW: Faye Jackson defeated MJ Jenkins. January 21, 2017–NEW: Mandy Leon and Maria Manic defeated MJ Jenkins and Tessa Blanchard. March 3, 2017–IMPACT Xplosion: Angelina Love defeated MJ Jenkins. March 4, 2017–Impact Wrestling One Night Only – Victory Road 2017: Next Knockout: Rosemary defeated MJ Jenkins. March 11, 2017–AIW Girls Night Out 19: MJ Jenkins defeated Solo Darling. March 31, 2017–FEW: MJ Jenkins defeated Lindsay Snow. April 6, 2017–IMPACT Wrestling: ODB defeated Amanda Carolina Rodriguez and Ava Storie and Brandi Rhodes and Diamante and Madison Rayne and MJ Jenkins and Rebel in a gauntlet battle royal to become #1 contender for the Knockouts title. May 8, 2017–IMPACT Xplosion: Laurel Van Ness defeated MJ Jenkins. May 20, 2017–WWR: MJ Jenkins defeated Vanity. July 18, 2017–Revolution Knockouts: MJ Jenkins and Raven defeated Ava Storie and Kaci Lennox. August 5, 2017–FIP: Aria Blake defeated MJ Jenkins. August 11, 2017–BCP: MJ Jenkins defeated Deonna Purrazzo. September 2, 2017–FEW vs. DCW: MJ Jenkins defeated Red Velvett. September 5, 2017–PW2.0: Ava Storie and Kaci Lennox defeated MJ Jenkins and Raeven Marie. September 15, 2017–SHINE 45: MJ Jenkins defeated Natalia Markova. October 19, 2017–FEW: Lea Nox vs. MJ Jenkins ended in a double disqualification. October 21, 2017–FEW: Red Velvett defeated MJ Jenkins by disqualification. November 11, 2017–FEW: MJ Jenkins defeated Lea Nox and Red Velvett in a 3-way match to win the Flares title. November 17, 2017–PW2.0: Drea, Kaci Lennox and Santana Garrett defeated La Varoneza, MJ Jenkins and Robyn Reid. 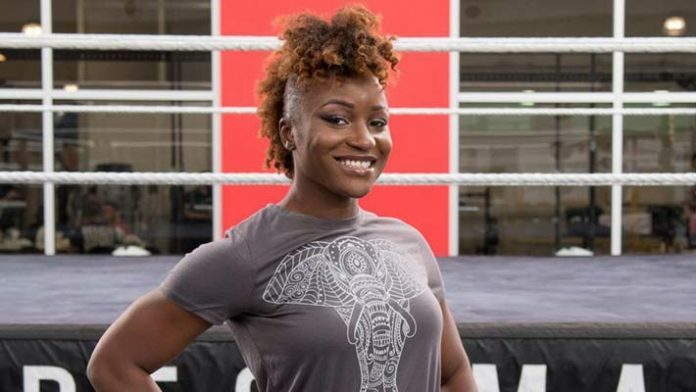 December 2, 16, 2017–FEW: MJ Jenkins defeated Red Velvett. January 11, 2018–MLW: Santana Garrett defeated MJ Jenkins. January 13, 2018–FEW: MJ Jenkins defeated Ray Lyn. February 24, 2018–FEW: MJ Jenkins defeated Kaci Lennox. March 10, 2018–FEW: Renee Michelle defeated MJ Jenkins. April 7, 2018–FEW: MJ Jenkins defeated Mike Xander. MJ Jenkins has signed a contract to WWE NXT. August 24, 2018–NXT Live Event: Bianca Belair and Lacey Evans defeated Jessie Elaban and MJ Jenkins. September 5, 2018–Mae Young Classic (Taped): Rhea Ripley defeated MJ Jenkins in the 1st round. September 6, 2018–NXT Live Event: Jessie Elaban and MJ Jenkins defeated Kavita Devi and Reina Gonzalez by disqualification. September 28, 2018–NXT Live Event: MJ Jenkins was in the #1 contenders battle royal for the NXT UK women’s title won by Jessie Elaban. September 29, 2018–NXT Live Event: Jessamyn Duke and Marina Shafir defeated MJ Jenkins and Taynara Conti. October 5, 2018–NXT Live Event: Aliyah defeated MJ Jenkins. October 12, 2018–NXT Live Event: MJ Jenkins and Taynara Conti defeated Deonna Purrazzo and Kavita Devi. October 20, 2018–NXT Live Event: Aliyah defeated MJ Jenkins. October 24, 2018–Mae Young Classic (Taped): Jessie Elaban, MJ Jenkins and Xia Brookside defeated Allysin Kay, Reina Gonzalez and Vanessa Kraven in a dark match. October 26, 2018–NXT Live Event: Aliyah and Reina Gonzalez defeated Jessie Elaban and MJ Jenkins. November 30, 2018–NXT Live Event: Jessamyn Duke, Marina Shafir and Shayna Baszler defeated Lacey Lane, Mia Yim and MJ Jenkins. December 7, 2018–NXT Live Event: MJ Jenkins defeated Deonna Purrazzo. December 8, 2018–NXT Live Event: Aliyah and Reina Gonzalez defeated Jessie Elaban and MJ Jenkins. December 15, 2018–NXT Live Event: MJ Jenkins defeated Aliyah. February 8, 2019–NXT Live Event: Aliyah and Vanessa Borne defeated Lacey Lane and MJ Jenkins. February 9, 2019–NXT Live Event: Denzel Dejournette and MJ Jenkins defeated Kona Reeves and Vanessa Borne. February 14, 2019–NXT Live Event: Denzel Dejournette and MJ Jenkins defeated Deonna Purrazzo and Luke Menzies. February 21, 2019–NXT Live Event: MJ Jenkins defeated Aliyah. March 2, 2019–NXT Live Event: Kona Reeves and Vanessa Borne defeated Denzel Dejournette and MJ Jenkins. March 22, 2019–NXT Live Event: Aliyah and Vanessa Borne defeated Jessie Elaban and MJ Jenkins. 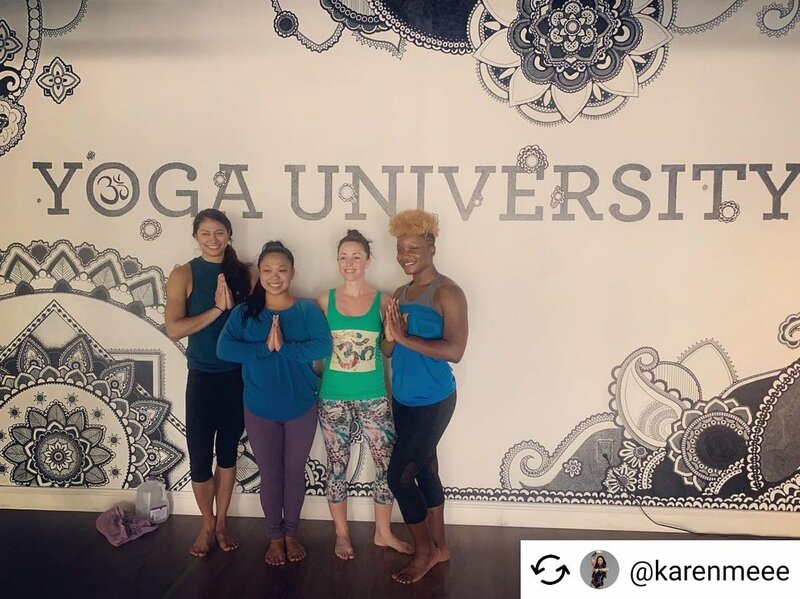 Congratulations Coach Deeb on graduating in yoga teaching! It was an amazing session and we're to glad you share this moment with you!